To provide the best possible Carpet Cleaning in Roseville, Rocklin, and Lincoln to the customer each time. “Our Reputation Matters” and being a family owned business, we put our best foot forward each and every day to fulfill the requests of our customers time and time again. Copyright © 2013 Spee-Dee’s Carpet Cleaning. All rights reserved. Specializing in tile and grout cleaning, upholstery cleaning, and carpet cleaning in Roseville, Rocklin, and Lincoln! 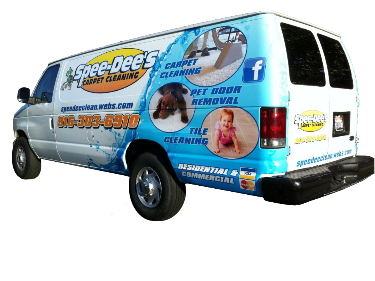 Did you know that SpeeDee’s also offers professional area rug cleaning AND grout sealing in Roseville, Rocklin, and Lincoln, CA? We serve the greater Sacramento area and are located in Lincoln, CA. We specialize in carpet cleaning, tile and grout cleaning, upholstery cleaning in Rocklin, CA as well as the surrounding areas. We are able to service your needs faster and more efficiently because we are based close to your location. We traditionally can schedule you in within the week or early the following week. We go out of our way for you! “Like” us on Facebook for exclusive discounts!